3 Palestinian civilians, including a child and a person with disability, were killed. 239 civilians, including 41 children, 3 women, 4 journalists and 6 paramedics, were wounded; 7 of them sustained serious wounds. 6 Palestinian civilians, including a child, were wounded in the West Bank. Israeli warplanes fired 2 missiles; one of them targeted the peaceful protestors, in the Gaza Strip. Israeli forces conducted 107 incursions into Palestinian communities in the West Bank, and 3 limited incursions into the Gaza Strip. 82 civilians, including 4 children and 8 women, were arrested in the West Bank. 9 of them, including 2 children and a woman, were arrested in Jerusalem. 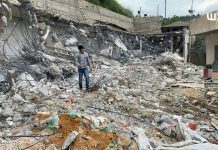 A civilian was forced to self-demolish his house in Beit Hanina village. Israeli forces demolished 3 dwellings in southern Hebron. The Israeli settlers attacked the Palestinian farmers and uprooted 39 fruitful trees. The windows and tires of cars were smashed and slashed. Two fishermen were arrested after one of them was wounded, and the area allowed for fishing decreased to 6 nautical miles. 9 civilians, including 3 children, were arrested at the military checkpoints in the West Bank. Director of Beit Hanoun “Erez” Crossing was arrested at the aforementioned crossing. Israeli violations of international law and international humanitarian law in the oPt continued during the reporting period (04 – 10 October 2018). During the reporting period, Israeli forces conducted at least 107 military incursions into Palestinian communities in the West Bank and 6 similar ones into Jerusalem and its suburbs. During those incursions, Israeli forces arrested at least 73 Palestinians, including 2 children, 7 women and a journalist, in the West Bank. Meanwhile, 9 other civilians, including 2 children and a woman, were arrested in Jerusalem and its suburbs. In the Gaza Strip, on 04 October 2018, Israeli forces moved 100 meters into the eastern Deir al-Balah, while on 07 October 2018, they conducted a similar incursion into eastern al-Bureij in the central Gaza Strip. On 09 October 2018, Israeli forces moved into the southern coastal border fence off “Zikim” Military Base, northwest of Beit Lahia in the northern Gaza Strip. On 08 October 2018, the settlers broke the windows of 10 vehicles parked in al-Rayan Auto Showroom and punctured the tires in Budia village, west of Salfit. On 09 October 2018, the settlers uprooted 39 fruitful olive and almond trees in Burqin village lands, west of Salfit, and levelled lands there. and a car in ‘Orif village, south of the city in a similar attack. At approximately 01:30, Israeli forces moved into Eskaka village, east of Salfit. They raided and searched a house belonging to journalist Walid Khalid husein Harb (48) and then arrested him. At approximately 01:45, Israeli forces moved into Qalqiliyah. They raided and searched a number of houses. Meanwhile, a number of children and youngsters gathered and threw stones at Israeli soldiers, who fired rubber bullets, sound bombs and tear gas canisters at them. As result, a 17-year-old child was hit with a rubber bullet to the foot. The Israeli forces also arrested Ahmed ‘Esam Taha (17). At approximately 02:00, Israeli forces moved into Tammoun village, southeast of Tubas. They raided and searched a number of houses after which they arrested 3 civilians namely ‘Emad Suleiman Mahmoud Busharat (47), Rasoul Abdul ‘Aziz Abdul Razaq Bani ‘Oudah (24) and Yahiya Mohammed Abdul Razaq Bani ‘Oudah (24). Around the same time, Israeli forces moved into Joyous village, north of Qalqiliyah. They raided and searched a house belonging to Ayman ‘Essam Salim (24) and then arrested him. At approximately 02:15, Israeli forces moved into Barqah village, northwest of Nablus. They raided and searched a number of houses and then arrested Monjed Ragheb Salah (29) and Abdul Halim ‘Emad Daghlas (18). Around the same time, Israeli forces moved into Salfit. They raided and searched a house belonging to ‘Ali Fathi Abu Zaher (24) and then arrested him. At approximately 03:00, Israeli forces moved into al-Khader village, south of Bethlehem. They raided and searched a house belonging to Ahmed Khalid Hamidah (26) and then arrested him. At approximately 03:10, Israeli forces moved into ‘Aboud village, northwest of Ramallah. They raided and searched a number of houses. Meanwhile, a number of children and young men gathered and threw stones and empty bottles at Israeli soldiers stationed at the main intersections in the center of the village. The soldiers fired sound bombs and tear gas canisters at them. As a result, a number of civilians suffered tear gas inhalation. The Israeli forces also arrested Ibrahim Mohammed al-Barghuthi (18) after chasing him. At approximately 06:30, Israeli forces accompanied with 6 military vehicles moved about 100 meters to the west of the border fence between the Gaza Strip and Israel, east of Deir al-Balah in the central Gaza Strip. They leveled lands adjacent to the border fence. The incursion continued for 2 hours after which the Israeli forces redeployed along the border fence. At approximately 15:10, Israeli forced moved into Kufor al-Deek village, west of Salfit. They raided and searched 2 houses belonging to Saleh ‘Ata Ayman Qasoul (23) and Mo’ath Jmal Fou’ad Nassar (22) and then arrested him. Note: During the aforementioned day, Israeli forces conducted (7) incursions in the following areas and no arrests were reported: Sebastia village, northwest of Nablus; al-Laban eastern village, south of the city; Abu Dese village, east of occupied East Jerusalem; Yatta, Beit Ummer, Shuyoukh al-‘Arab village, and al-Fahes area in the southern area in Hebron. At approximately 18:15, Israeli warplanes targeted a border control point belonging to al-Qassam brigades (the Military Armed wing of Hamas Movement), located about 200 meters into the south of the border fence between the Gaza Strip and Israel, south of the Return camp, east of Jabalia in the northern Gaza Strip. The bombardment caused a total damage to the land, but no casualties were reported. Around the same time, Israeli gunboats stationed offshore, adjacent to al-Waha resort, northwest of Beit Lahia in the northern Gaza Strip, heavily opened fire at Palestinian fishing boats sailing within 2 nautical miles and chased them. As a result, the fishermen were forced to flee fearing for their lives, but neither casualties nor material damage was reported. At approximately 01:15, Israeli forces moved into Jenin. They raided and searched a house belonging to Shadi Kamal Mahmoud Mar’ie (24) and then arrested him. At approximately 06:10, Israeli gunboat stationed off the northwestern shore of al-Waha resort, northwest of Beit Lahia in the northern Gaza Strip, opened fire at the Palestinian fishing boats that were sailing within 2 nautical miles about 200 meters into the south of the northern borders between the Gaza Strip and Israel. The gunboats surrounded a fishing boat manned by Safwat Zayet Mahmoud Zayed (42) and his brother Ref’at (29). Both fishermen were then taken to Ashdod Seaport without confiscating their boat. At approximately 17:20 on the same day, the Israeli authorities released both fishermen via Beit Hanoun “Erez” crossing, noting that Ref’at was found wounded with 2 rubber-coated bullets to the left leg and thigh. At approximately 16:15, Israeli forces moved into Kufor Qaddoum village, north of Qalqiliyah. They raided and searched a house belonging to Laith Abdul Rahman ‘Ali (17) and then arrested him. At approximately 22:30, Israeli forces moved into Ya’bud village, southwest of Jenin. They raided and searched a number of houses and then arrested 4 civilians namely Mohammed Fathi Eskandar al-Sheikh ‘Ali (20), Yusuf Ahmed Masharqah (24), Farsan Khalid ‘Amarnah (21) and Monadel Ya’qoub Abdul jabber Nafe’at (24). Note: During the aforementioned day, Israeli forces conducted (11) incursions in the following areas and no arrests were reported: Yatta, Beit ‘Omrah and al-Thaheriyah villages, al-Fawar refugee camp in Hebron; Tulkarm, Beit Led, Safarin and ‘Ezbat Shufa villages in Tulkarm; Qalqiliyah and ‘Azzoun village, east of the city, and Kafel Hares village, north of Salfit. At approximately 01:15, Israeli forces moved into Jenin. They raided and searched a house belonging to Mohammed Tayseer Jalghoum (24) and then arrested him. At approximately 03:30, Israeli forces moved into Beit Ummer village, north of Hebron and stationed in Khelat al-‘Ein area. They raided and searched 2 houses belonging to Mohanned Morshed Mohammed Za’qiq (21) and Mohammed Yusuf Khdair ‘Awad (20) and then arrested him. At approximately 04:00, Israeli forces moved into al-Jalazoun refugee camp, north of Ramallah. They raided and searched dozens of houses after which they arrested 5 civilians namely Mustafa Mohammed Nakhlah (22), Mahmoud Mohammed Nakhlah (26), ‘Ezz al-Qadi (18), Ra’ed Ahmed al-Baiari (21) and Yasser Abdullah al-Najjar (19). The soldiers also confiscated NIS 2,500 from a house belonging to Mohammed Samaghnah. At approximately 10:05, Israeli forces moved into Beit Led village, east of Tulkarm. They raided and searched a number of houses, confiscated 2 recording videos of the surveillance cameras belonging to Sa’ed Mahmoud Mohammed Hamaidah and a shop belonging to Monther Jom’ah. The Israeli forces also arrested Adeeb Qasem Ibrahim (47) and his son Majdi (19). At approximately 18:00, an Israeli drone fired a missile at a group of Palestinian civilians, who were in the east of al-Shawkah village, east of Rafah in the southern Gaza Strip, but no casualties were reported. At approximately 21:45, Israeli gunboats stationed offshore, adjacent to the seaport, west of Rafah in the southern Gaza Strip, heavily opened fire at Palestinian fishing boats sailing within 5 nautical miles. they also fired flare bombs in the sky and chased the fishing boats. As a result, the fishermen were forced to flee fearing for their lives, but neither casualties nor material damage was reported. Note: During the aforementioned day, Israeli forces conducted (20) incursions in the following areas and no arrests were reported: al-Fawa refugee camp, Ethna, Hebron, Tulkarm, Moor and Shams refugee camps, al-Ras, Kufor Sour, Kufor Zebad, Kufor Jamal and Far;oun villages in Tulkarm; Qalqiliyah, Joyous, Kufor Thuluth, Falamiyah, Hejjah, Baqet al-Hatab and ‘Azzoun village in Qalqiliyah, Kafel Hares and Hares village, north of Salfit. Around the same time, large numbers of Israeli forces moved into Balatah refugee camp, east of Nablus. They raided and searched a number of houses and then arrested 3 civilians namely Hamed Ghassan Hamed Hashash (20), Basem Hasan Mohammed Marshoud (27) and ‘Ammar Khamis Farhan Abu Mustafa (35). Around the same time, Israeli forces moved into Harmalah village, east of Bethlehem. They raided and searched a number of houses after which they arrested 5 civilians namely Salim Mohammed Yusudf al-Zeir (25), Zakaria Mohammed Yusuf al-Zeir (23), Khalid Wajih Mahmoud al-Zeir (25), Hamzah Dawoud al-Zeir (29) and ‘Ala’a Mohammed ‘Ali ‘Atallah (24). At approximately 02:00, Israeli forces moved into Safa village, west of Ramallah. Thy raided and searched a house belonging to Rami Karajah (24) and then arrested him. Around the same time, Israeli forces moved into Kufor Malek village, northeast of Ramallah. They raided and searched a house belonging to Akram Jom’ah Hamayel (21) and then arrested him. At approximately 02:10, Israeli forces moved into Shuweikah Suburb, north of Tulkarm amidst firing live and rubber bullets, sound bombs and tear gas canisters in the area. They raided and searched a house belonging to Ashraf Walid Suleiman Na’alwah in al-Qatayen neighborhood. Ashraf is accused of the killing of 2 settlers and the injury of a settler in Barkan industrial area, west of Salfit. The soldiers thoroughly searched the house contents using police dogs. An Israeli officer then questioned all the house inhabitants after they locked the women and children in one room. An engineering unit took the house measurements as a preamble to demolish it. The soldiers then arrested Ashraf’s brother Amjad (31) and Lewa’a Husam Abu ‘Ouf (22), ‘Amid ‘Azmi Na’alwah (21) and Laith Basam Mahdawi (20). The shooting also resulted in the injury a 23-year-old civilian with a tear gas canister to the chest. At approximately 02:30, Israeli forces moved into Deir Samet village, southwest of Dura, southwest of Hebron. They raided and searched a house belonging to Ra’fat Namer Maslmah (33) and then arrested him. At approximately 06:30, Israeli forces accompanied with several military vehicles moved about 100 meters in the west of the border fence between the Gaza Strip nd Israel, east of al-Buraij in the central Gaza Strip. They leveled lands adjacent to the border fence and repaired the border fence. The incursion continued for 4 hours deployed along the border fence. At approximately 06:55, Israeli forces moved into al-Moghir village , northeast of Ramallah. They raided and searched a house belonging to ‘Awad shawqi Abu ‘Alia (22) and then arrested him. At approximately 07:30, Israeli forces moved into Sangal village, northeast of Ramallah. They raided and searched a house belonging to Fou’ad Saleh Dar Khalil (37) and then arrested him. At approximately 12:00, Israeli forces arrested Fathi Samer Fathi ‘Asrawi (36) from ‘Alar village, north of Tulkarm, when he referred to the Israeli Intelligence Service upon a previous summons. At approximately 15:40, Israeli forces moved into Beit Led village, east of Tulkarm. They raided and searched 2 houses belonging to Yusuf ‘Ahed Mohammed Jaber (22) (a university student) and Mohammed Saleh Hamadi (22) and then arrested them. 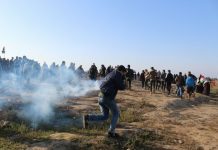 At approximately 16:10, Israeli forces stationed along the border fence between the Gaza Strip and Israel opened fire at agricultural lands, east of al-Shawkah village, east of Rafah in the southern in the southern Gaza Strip, but no casualties were reported. Note: During the aforementioned day, Israeli forces conducted (16) incursions in the following areas and no arrests were reported: Deir Sharaf, Zawata and al-Naqurah villages in Nablus; al-‘Aroub refugee camp, Halhoul, Tulkarm; Deir al-Ghusoun, Qifin, Zeta, Baqa al-Sharqiyah, Nazlet Abu al-Nar, Nazlet ‘Essa, Safarin, al-Ras, Kufor Sour and Far’oun villages in Tulkarm. At approximately 01:30, Israeli forces moved into ‘Asirah village, south of Nablus. They raided and searched a house belonging to Mohammed Rasem Ahmed Saleh (18) and then arrested him. Around the same time, Israeli forces moved into al-Fawar refugee camp, south of Hebron. They raided and searched a house belonging to Mamdouh Ibrahim Abu Rabe’a (26) and then arrested him. At approximately 02:00, Israeli forces moved into ‘Aydah refugee camp, north of Bethlehem. They raided and searched a house belonging to Abdul Rahman Rashid Abu Surour and then arrested his wife Fadwa (49) and daughter Yasmeen (21), who is a former prisoner. It should be noted that the Israeli forces arrested Abdul Rahman in the previous day after summoning him to refer to the Israeli Intelligence Service for investigation. The Israeli forces also arrested his son Khalil (26) on Thursday, 04 October 2018, as they are still arresting Abdul Rahman’s eldest son, ‘Arafah (28), since 2014. By arresting Abdul Rahman’s wife and daughter, the Israeli forces have arrested all the family members. At approximately 02:10, Israeli forces moved into Tulkarm. They raided and searched a house belonging to ‘Amr Suhail ‘Oudah (21) and then arrested him. At approximately 02:15, Israeli forces moved into Shuweikah Suburb, north of Tulkarm. They raided and searched a house belonging to Asharaf Walid Na’alwah and then arrested his mother Wafa’a Mahmoud Na’alwah (54) and sisters Sondos Walid Na’alwah (20), who is a university student, and Hanadi (26), who is a mother for three children. At approximately 10:30, Israeli forces accompanied with 3 m military bulldozers and a tank moved about 100 meters south of the border fence, adjacent to “Zikim Military Base”, northwest of Beit Lahia in the northern Gaza Strip. They levelled and combed lands that were previously leveled along with sporadic shooting in the area. At approximately 12:00 on the same day, the Israeli forces deployed along the border fence between the Gaza Strip and Israel, but neither casualties nor material damage was reported. Note: During the aforementioned day, Israeli forces conducted (7) incursions in the following areas and no arrests were reported: ‘Awerta and Beta villages, southeast of Nablus; Hebron, Sa’ir, al-Shuyoukh, al-Thaheriyah and Bani Na’im villages. At approximately 01:30, Israeli forces moved into Nablus. They raided and searched a number of houses and then arrested Yahiyah ‘Adnan al-Samhan (23) and Mohammed ‘Emad al-Shakhshir (24). At approximately 02:30, Israeli forces moved into Shuweikha suburb, north of Tulkarm. They raided and searched a house belonging to the family of Ashraf Na’alwah, who is accused of carrying out “Barkan” attack, and then arrested his father Walid Suleiman Mohammed Na’alwah (57). At approximately 08:35, Israeli gunboats stationed offshore, adjacent to al-Waha resort, northwest of Beit Lahia in the northern Gaza Strip, heavily opened fire and chased Palestinian fishing boats sailing within 3 nautical miles. As a result, the fishermen were forced to flee fearing for their lives, but neither casualties nor material damage was reported. Note: During the aforementioned day, Israeli forces conducted (5) incursions in the following areas and no arrests were reported: Sebastia village, northwest of Nablus; al-Samou’a, Ethna, al-Shuyoukh and Emrish villages in Hebron. On Wednesday, 04 October 2018, the Israeli authorities allowed 2 persons; on Sunday, 07 October 2018, 1 person; and on Monday, 08 October 2018, 2 persons; and on Tuesday, 09 October 2018, 3 persons to return to the West Bank. 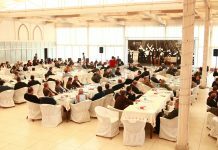 On Sunday, 07 October 2018, the Israeli authorities allowed a person to travel to Israel to receive the family reunion. On Monday, 08 October 2018, the Israeli authorities allowed a doctor to travel via Eres Crossing to attend a medical training course. At approximately 19:00, the Israeli authorities informed the Palestinian Civil Affairs Authority of arresting Naser al-Deen Mahmoud Kilani (50), Director of Beit Hanoun (Erez) Crossing in the northern Gaza Strip, 5/5 checkpoint belonging to the Palestinian Civil Affairs Authority. Naser al-Deen’s brother, Kilani said that his brother Naser al-Deen headed to his work at Erez Crossing and at approximately 14:00 on the same day, he headed to the Israeli side in order to travel to Ramallah after getting a permit. At approximately 14:30, his family lost contact with him until the Israeli authorities officially informed them that his son was arrested without telling them any reasons. At approximately 00:00 on Thursday, 04 October 2018, Israeli forces established a checkpoint near Belal Bin Rabbah Mosque, north of Bethlehem and then arrested Mo’tasem Basem Abu Khdair (26) and Khalil ‘Abed al-Rahman Abu Srour (28). Both of them are from ‘Aydah refugee camp, north of the city. At approximately 16:00 on Friday, 05 October 2018, Israeli forces set an ambush on al-Qa’dah Mount, southeast of Beit Foreek village, east of Nablus, and then arrested Karam Mohamed Nasasrah (14). At approximately 21:00 on Friday, Israeli forces stationed at Shafi Shamroun checkpoint, northwest of Nablus, arrested Khalil Ibrahim ‘Ali Shtaieh (22), from Tal village, southwest of Nablus. It should be noted that Khalil was driving a truck carrying eggs cartons that he distributed them to the Palestinian Police Centers. Khalil was on his way to Jenin while arresting him. At approximately 12:30 on Sunday, 07 October 2018, Israeli forces stationed at the entrance to Burkan industrial area, arrested Raied Ahmed Sowidan (45), from ‘Azoun village, east of Qalqiliyia. The Israeli forces claimed that Raied conveyed a person, who was accused of the killing of 2 settlers and the injury of another one, to the abovementioned area. After questioning Raied, the Israeli forces later released him. On Sunday, Israeli forces arrested Mohamed Naji al-Tarsh (32) after stopping his vehicle that was heading to Khebit Qalqas, east of Hebron. At approximately 18:00 on Tuesday, 09 October 2018, Israeli forces stationed at Qalandia military checkpoint, north of occupied East Jerusalem, arrested Mohamed ‘Ali Mansour (23). At approximately 14:30 on Wednesday, 10 October 2018, Israeli forces stationed at 160 military checkpoint, in the southern area of Hebron, arrested Ameer Basel Idreis (12) and Ameen Ya’qoub Idreis (12) after getting out of Hebron Primary School. Both of them were taken to an investigation centre in “ “ Kiryat Arba’” settlement. The Israeli authorities claimed that the abovementioned children threw stones at the checkpoint.